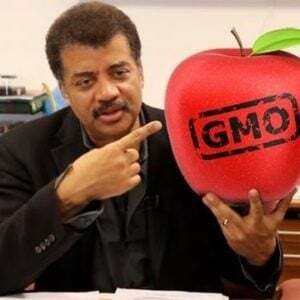 Steven Novella of the New England Skeptical Society has a thoughtful and entertaining piece on his Neurologica blog on the seven major talking points of the anti-GMO movement. He pulls not punches in his disdain for what he believes is the willingness of activists to subvert science for questionable ideological goals. [I]t seem pretty clear to me that the anti-GMO activist position is not an objective science-based position. Rather it has all the features of a political/marketing campaign. The campaign has talking points that are all spin and propaganda. Like a slick car commercial, it is selling a vibe, a worldview and a certain self-image. Also like many political and commercial campaigns it is based on fear. He believes, as do many independent commentators, that the major driver of anti-GMO fever is the organic industry. The anti-GMO community seems closely tied to the organic food industry, which essentially sells the naturalistic fallacy on the back of irrational fears about everything artificial, whether or not there is any science behind those fears. Both, in turn, are tied to the alternative medicine community, which overlaps considerably in its fetish with all things natural, its demonizing of anything technological, and its apparent disdain for science (see Whole Foods as a good example of this overlap). 1) Health risk – According to the Academy of Environmental Medicine, animal studies link GMOs to organ damage, gastrointestinal and immune system disorders, accelerated aging and infertility. AAEM is regarded as a fringe organization that rejects mainstream medicine on a number of issues, including the safety of vaccines and the effects of electromagnetic waves. Environmental medicine is not a recognized specialty and prominent commentators have called AAEM a quack organization. In fact, every major independent science and biotechnology oversight agency of note has publicly stated that GMOs are as safe or safer than organic or conventional crops and foods. Additional claims that GMOs can produce “unknown” and “dangerous” allergens is just bogus. 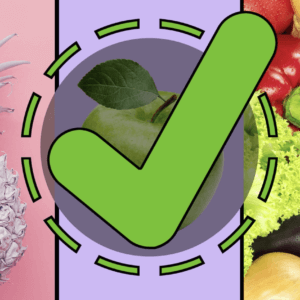 GMOs are widely tested for allergens, while conventional foods are not. There is no evidence–none –of increased incidences of allergic reactions from eating GMOs. “GM crops are also tested for nutritional equivalence, and feeding studies are used to show they are safe,” he writes. 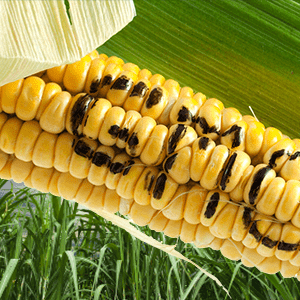 2) Contamination of other crops – Like other plants, GMOs cross pollinate. When the wind blows, their seeds can travel. Farmers trying to grow crops organically or with non-GMO seeds report that their fields are being contaminated through the natural cross pollination that occurs when GMO seeds go airborne. Any crop that is wind pollinated will spread its pollen to nearby fields. Any cultivar will contaminate all other cultivars. In order to plant enough fields to grow enough food to feed the world, this is going to happen. Why is this more of an issue spreading GMO to non-GMO and not the other way around? It is self-fulfilling – GMOs are a problem because they can spread to non-GMO and we don’t want that because GMOs are a problem. 3) Increased pesticide use and environmental problems – Most GMO crops are engineered so that they are not susceptible to particular herbicides. For example, many GMO crops are resistant to Roundup, an herbicide produced by Monsanto. Ironically, as a result, farmers appear to be using more Roundup to control their weeds than previously. As Novella points out, the use of the word “pesticides” is misleading. The second most popular type of GMO crops are engineered to include Bt, a natural pesticide which ensures that farmers use very little synthetic pesticides. Use of synthetic pesticides has plunged in the US and elsewhere in regions where Bt crops are grown. As for the increase in the use of herbicides, the overall volume of glyphosate use is up, but because glyphosate is so toxically mild as compared to what it replaced, toxic levels on farms are down substantially. Increased use of glyphosate has led to the development of hardier weed strains, but that has happened with every pesticide ever developed. Rotation and other weed management strategies, as well as the use of new generation herbicide tolerant crops, such as the new Duo Enlist, can reasonably be expected to address many of these concerns. 4) Corporate control of seeds and agriculture – Ideally, farmers could get seeds from a variety of sources or save their own seeds for the next planting cycle. 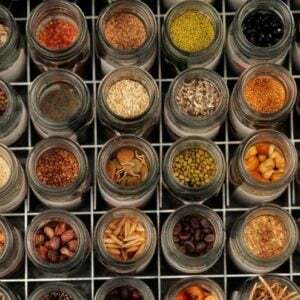 Today, one company controls about 95 percent of GM seeds. As cross-pollination increases, more and more natural crops may be unable to produce their own seeds, putting farmers – and us consumers, too – at the mercy of an agribusiness that is more focused on profit that people or the planet. Perhaps the most familiar anti-GMO meme is good old fashion corporate bashing. If corporations make it, it must be bad (unless it’s high tech electronics or ones favorite car–Tesla or BMW anyone?) “Big Ag” is also regularly based because it “controls seeds” and “sues farmers” who try to save them for use in future years. Of course patent law is tied intimately to funding innovation and seed patenting has been part of farming for more than 80 years. In other words, this argument, like the others, verge on pure demagoguery.